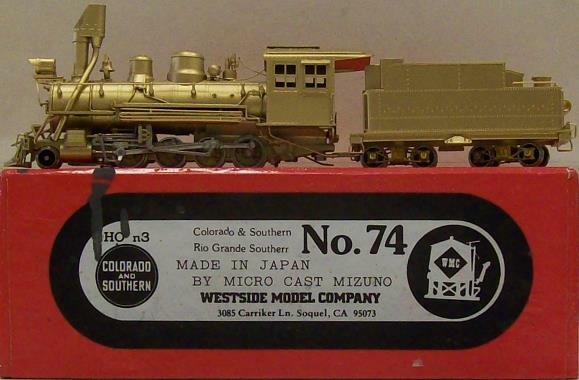 Central Hobbies has a selection of brass models: locomotives, passenger cars and MOW equipment. If there is a special item you are looking for, please E-mail us or give us a call. IMAGES - Click on the image to open another window with a larger image. Logging Coos Bay Lumber Co. Paint Job - Custom painted for Private Road name. Painted like it has been in long hard service. Foam - Foam is replaced and poor. Paint Job - Custom painted for Private Road name. 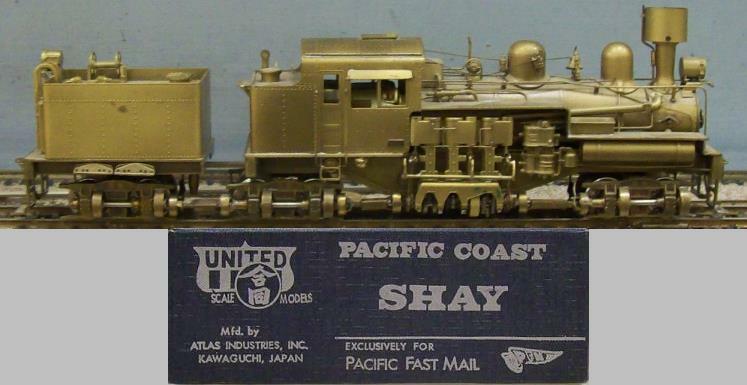 . . Undecorated - 3-truck Shay Class "B"
Foam - Good. Red Foam. Paint Job - Factory painted. Needs Cleaning. Paint Job - Painted - weathered. Wear on the usual locations. Paint Job - Factory Painted. . . Undecorated - MP-15AC E.M.D. Foam - Yellow foam is dying. Model is well wrapped. New top sheet. 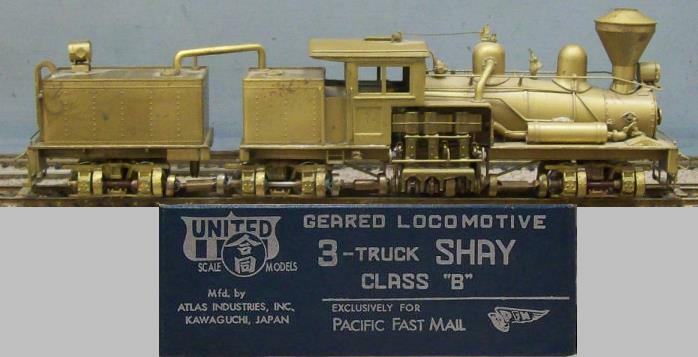 Location: Manufacturer - Custom Brass / Korea ?? Box - No Box. Bubble Wrap.